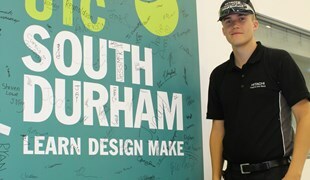 UTC South Durham is a state-funded, purpose built technical school for 14-19 year olds which opened in Aycliffe Business Park in September 2016. Our key focus is to help young people get ready for the world of work and find meaningful, technical and academic careers. 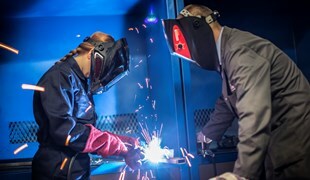 The University of Sunderland, Hitachi Rail Europe and Gestamp Tallent collaborated to create the school and to provide a fast track to a wide variety of rewarding professions right here in the heart of the North East. The North East has a proud history of industry and technical innovation; it also has an exciting future. Young people are interested by technology and looking for meaningful careers. Companies are looking for bright young people who are ready for work and have the right attitude to succeed. The UTC is designed to match those needs and ensure that both thrive. 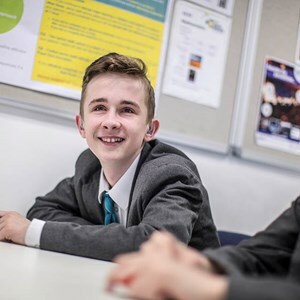 Our students study academic subjects, with a range of GCSEs and A-levels. 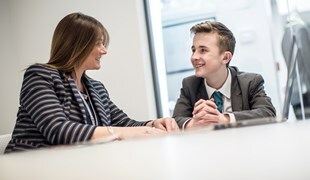 We also offer the opportunity for students to focus on developing their technical knowledge and skills and to work directly with the region’s employers. 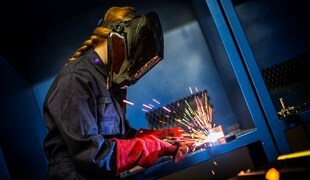 The UTC has fantastic facilities and state-of-the-art equipment. Students have contact with industry professionals and teachers with strong industry experience. Parent feedback is hugely important to us. Please see below for some of the feedback we have had from parents in the last couple of years. We are delighted with the quality of staff we have here at UTC, they continue to develop and support our students. The future looks bright for our students, we look forward to sending our students into real and meaningful destinations. We are often asked questions about the UTC and our facilities, please see here for more information.